The hacker who played a video on his Kindle Touch is back again and he has a new trick up his sleeve. 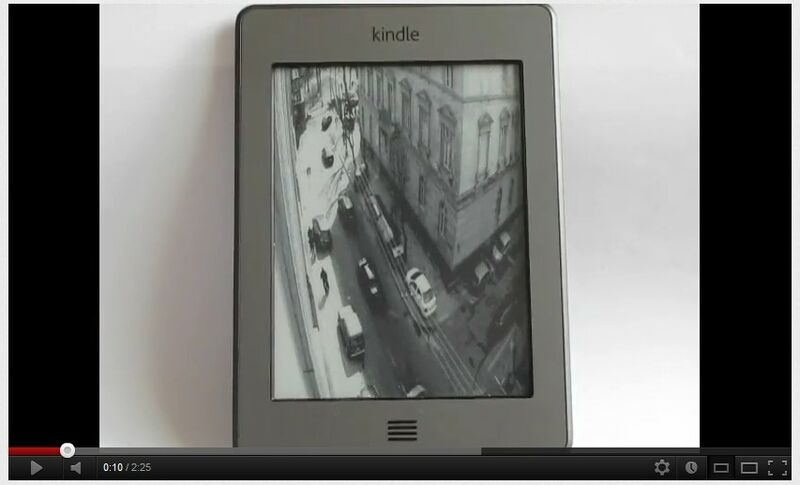 His latest video shows a Kindle Touch playing a video stream from a webcam. There's little practical use to this hack, but it is a good indication of the capabilities of the Kindle Touch. It's fast enough to decode a video stream and play it at 800x600. That's far better than the Nook Touch, which could (at best) show a video in 240p. On a related note, the hacker has also posted a new demo video showing the Kindle Touch playing a movie. I updated my older post. Nook Touch has the better hardware, especially inside. I don’t think anyone has bothered with real video because it lacks a speaker and audio jack.